As the 2017 spring weather warms up, so does the interest in golfing for millions of Americans. Golf course and country club owners and entrepreneurs are turning to Wise Business Plans in an effort to push profit margins up, acquire funding for expansion and maintain business stability. 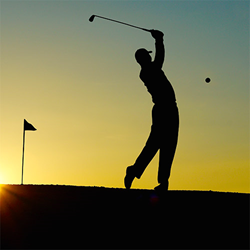 Wise Business Plans now helps golf course and country club owners define business goals and present a strategic plan to raise capital and meet specific market demands. "Golf is a pleasure and a relaxation, and as such, it is an important part of the local community for many people," said Joseph Ferriolo, Director of Wise Business Plans. "We work closely with our golf venue clients to prepare an appropriate business plan that can lead to superior earnings and business success," Ferriolo added. Wise Business Plans now helps golf course and country club owners define business goals and present a strategic plan to raise capital and meet specific market demands, including the tools needed to manage a thriving business. Wise offers one-of-a-kind, carefully created business plans, custom crafted by MBA qualified writers and graphic designers, with each one including a free option for revision, should details change during the creation process. "We enjoy golf and we realize the work that goes into keeping up the course, the buildings and the many additional facets of a country club style business. We put the same work ethic into researching and preparing our expertly crafted business plans for all our clients," added Ferriolo.